Can I buy an away ticket? We usually receive all ticketing information approximately four to six weeks before the match. You can keep up to date on the latest away ticket information on the club website using #AwayTickets. As the visiting club, we only receive a limited number of tickets for an away game. For this reason, we run an application system offering the opportunity to purchase away tickets to Season Ticket holders first. Season Ticket Holders: Applications will be open to season ticket holders as first priority. Should we be oversubscribed with applications from season ticket holders, we use the Ticketing Point system to determine who has been successful. 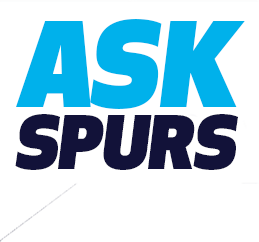 One Hotspur Member: Should we be under subscribed after the season ticket holder application deadline, we will then open applications to our One Hotspur Members. Not a member: As tickets are offered to Season Ticket holders and One Hotspur Members first, tickets will not be available for non-members. Supporters wishing to book Official Club Travel can do so with our partner, Thomas Cook Sport. Please visit the Thomas Cook Sport website or call 01733 224 834. Due to tickets in the visitors section being limited, we are unfortunately unable to make any exceptions for overseas supporters or special occasions. How will I know I have been successful? We'll update the ticketing news article with the minimum number of ticketing points successful applicants will need to have. The lead booker will be sent an email confirmation and payment will be taken from the lead bookers card (it may be in two transactions, clear view tickets and restricted view tickets). Note: applications for the 2018/19 Season exclude any points for joining the automatic cup scheme (i.e. 10 points for Gold Season Ticket Holder). See here for more details: Why has my application been declined when I have enough points? My payment wasn't successful, what do I do? The email will give you the deadline by which you'll need to complete payment. Any tickets remaining unpaid after this time will be released to other supporters who originally applied. If you are no longer able to attend this match, no further action is required as your reservation will automatically be cancelled after the above deadline. What happens if the lead booker was unsuccessful? If you applied as a group and the lead booker was unsuccessful, the ticket office team will be in touch with the individuals that were successful to arrange payment and updated delivery address details. How can I submit a seating request? Tickets are randomly allocated through a ballot system to those supporters successful within their application. If you would like to be seated with another supporter, you must submit your application in the first instance. Unfortunately, we're not able to assist with requests once applications have been received. This also means we're not able to assist with seating location requests outside of those supporters who have access requirements or where there is a safeguarding reason. When will my points be allocated? After the payment successfully has been taken, if you had a group booking this payment may be taken in two payments for non-restricted and restricted seating. After tickets have been paid for, points are allocated within 24 hours. More information available in the Ticketing Points article. Each ground we visit will offer dedicated accessible seating areas for wheelchair users and ambulant access supporters. The same application process detailed above will apply. Please see our Access Page for more information. Supporters wishing to book Official Club Travel can do so with our partner, Thomas Cook Sport. Please visit the Thomas Cook Sport website or call 01733 224 834. My ticket hasn't arrived, what should I do?